Coins 34 Greek Italy. Southern Apulia, Tarentum. 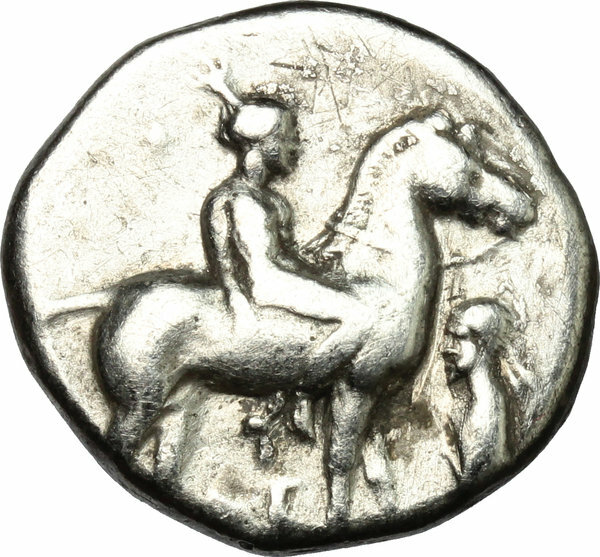 AR Nomos, 365-355 BC. D/ Naked youth on horse standing right; to right, herm left. 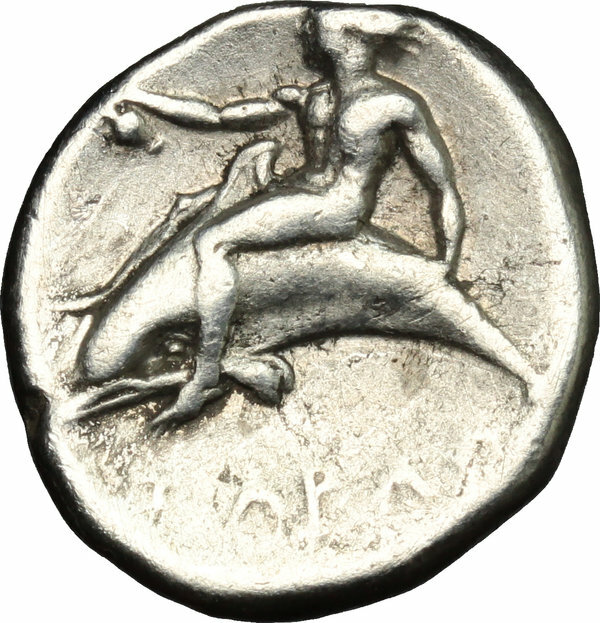 R/ Phalantos riding dolphin left,holding oinochoe. HN Italy 873. Vlasto 407-9. AR. g. 6.72 mm. 20.00 About VF.